If you are going to buy or have just purchased an older 5 cylinder Mercedes Diesel (1975 to 1985) the first thing you need to do is a good physical exam of the engine. Don't throw money at a car that has a dying engine. It is even better to do this BEFORE you purchase the car to prevent surprises and major pain in your wallet. Check out what happened to us recently on our 1982 300D Project by CLICKING HERE! We also have this kit available for 4 cylinder 220D and 240D (use the search box and enter Physical Exam). The exam kit contains the following: Click on each related product link to read the full description or to purchase the item individually. 60 inches of injector return hose and 5 heat shield crush washers. The fuel injectors need to be removed when doing a compression test. Replacement of the injectors will require replacment of the sealing washers under the injectors and the rubber injector fuel return hose. Advanced Fault Diagnostic Manual for Diesel Engines. 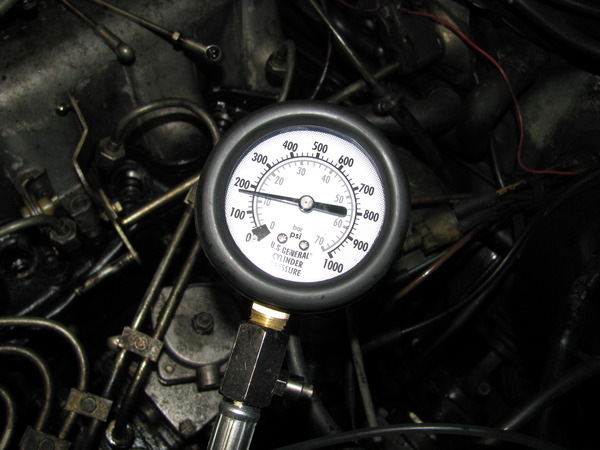 This manual will walk you through diagnosing all engine staring problems, shut off problems, performance problems, noise problems and fluid leak problems. A must have for every 220D 240D diesel owner. As an extra bonus we will include a new 5 cylinder valve cover gasket FREE OF CHARGE. The valve cover gasket should be changed every time the valve cover is removed to prevent leaks. We are happy to send this item to Canada or International Customers.